May seem strange but is real, Finnish army makes the Albanian symbol. In this photo publieshed Albanian media you can see Finnish soldiers performing the Albanian symbol with their hands - the two-headed eagle. 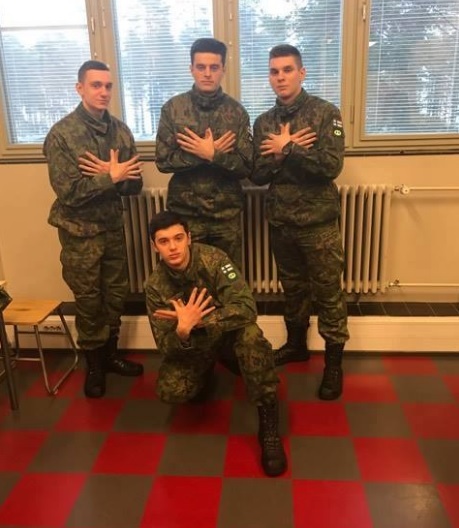 There are no comments associated about this patriotic Albanian photo performed by Finnish army on the media that have published it, but is clear that these soldiers are of Albanian descent - maybe the first generation of Albanian immigrants in Finland - and are expressing their patriotic spirit.